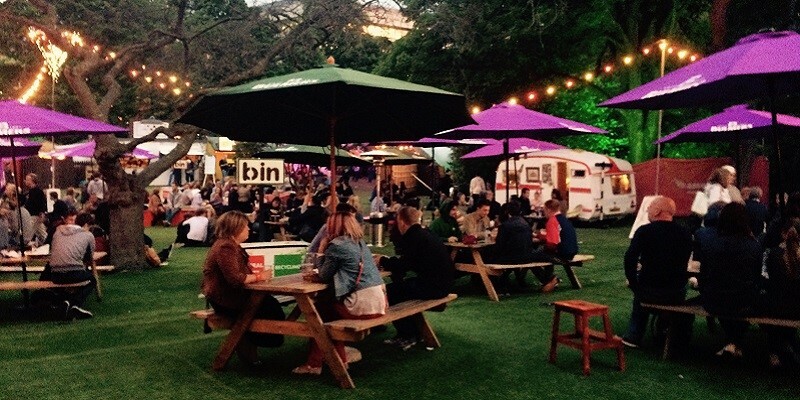 Based in the ‘world’s leading festival city’, it’s no secret that we love festivals at Euan’s Guide. Art festivals, book festivals, Fringe festivals, music festivals – whatever the celebration, we can’t wait to uncover the surprises, talents and accessible hidden gems at every festival we encounter! Festivals are exciting, but sometimes it could be easier to find the disabled access information that many people need to enjoy them, and that’s why we like to work with festivals big and small to help make their accessibility information easy to find. For several years, we have been working closely with the Edinburgh International Festival to deliver access information to festival-goers in August. We created a dedicated landing page with the festival’s downloadable Access Guide, disabled access listings for every venue holding events during the festival, and the complete list of BSL-Interpreted, Captioned and Audio Described events in the programme. In 2016, the page had thousands of visits and hundreds of programme downloads as disabled people, their families and friends found the information they needed in one place. Throughout the festival, many of the venues also received helpful feedback and disabled access reviews on Euan’s Guide from people who had visited them. In 2017, even more Edinburgh festivals will have a dedicated page on Euan’s Guide, and we invite you to have one too! Many large festivals take place across tens, sometimes hundreds of different venues. This can make providing disabled access information seem like a daunting task, but it can be achieved with listings and reviews on Euan’s Guide. Thousands of venues around the UK have already been reviewed by disabled people, and many more have submitted their disabled access information as a listing on our website. With a landing page and links to listings for all of the venues holding events during your festival, disabled people can access the details they need quickly and easily. If the venue has also been reviewed by another disabled person, the information can be even more helpful to the people searching for it. Send us your programme or dedicated access programme of events, and we’ll make sure key events are listed on your landing page and with the venue it’s taking place at. Once your events are on Euan’s Guide, we’ll include them in our blogs, social media and in our newsletters which reach thousands of disabled people, their families and friends. The work we do with individual festivals is very unique, and we have also worked closely with the Edinburgh Fringe Festival to encourage inclusion with local festival audiences. As an example, we have worked with Fringe staff on disability equality training, and invited local ‘mystery shoppers’ to attend shows and review and comment on individual venues’ accessibility. It has been a fun and informative way of helping the Fringe ensure it remains accessible to disabled festival-goers, their families and friends. Take a look at which festivals won our local Accessible Edinburgh Festival Awards in 2016 here! Ready to add your festival to Euan’s Guide? Every festival is different, and so is the work we do with them! We’d love to help you promote your festival’s disabled access information, so please get in touch with us for a chat by emailing hello@euansguide.com or giving us a call on 0131 510 5106.